DONETSK, August 31. /TAsS/. 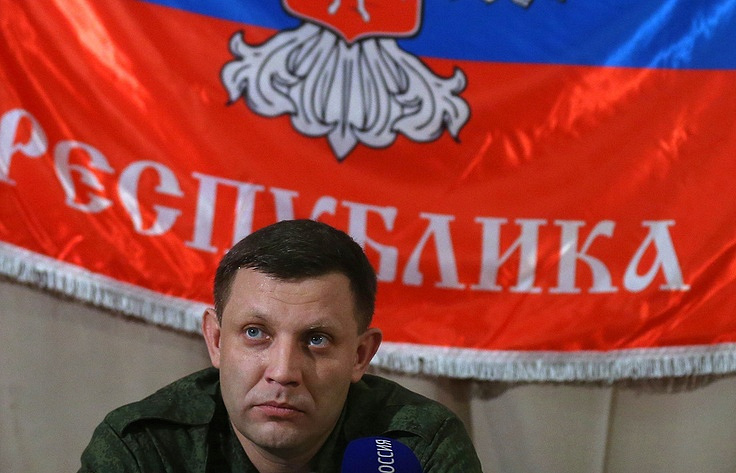 DPR head Alexander Zakharchenko, who was killed in a blast in downtown Donetsk earlier on Friday, will be buried on September 2, the Donetsk People’s Republic interim head, Dmitry Trapeznikov, said. “The funeral and memorial service are scheduled for September 2,” he said. The funeral ceremony will be held in the Donetsk Opera and Ballet Theatre. Hey Buddy!, I found this information for you: "Slain DPR head Zakharchenko to be buried on September 2 — interim DPR head". Here is the website link: https://russophile.org/slain-dpr-head-zakharchenko-to-be-buried-on-september-2-interim-dpr-head/. Thank you.